Bristol Corinthian Yacht Club can trace its history back to 1931, when the Bristol Yacht Club was formed as an association of people interested in the sea and yachting. Its main objective was to promote and encourage the sport of yachting in all its aspects. The club had yachts based on the South Coast, and purchased six one design dinghies which were used for club racing in Portishead Dock. A Club Room was established in the St Vincent's Rocks Hotel, subsequently moved to the Royal Hotel. By 1933, the club had grown to over 90 members with a number of cups and trophies organised for club cruising and racing competitions. Some of these, the King Cup and Dolphin Cup, are still presented today. During the 1939-45 war, the club's activities were suspended, mainly as a result of many of its members being transferred to HM ships. In 1946 the club got underway again, and the Bristol Sailing Club was formed with the main objective of dinghy racing. By this time, the reservoir at Cheddar had been completed (building work started in 1931) and negotiations were made with The Bristol Waterworks Company - now Bristol Water - for Bristol Yacht Club and Bristol Sailing Club to sail on Cheddar Reservoir. BSC was responsible for the winter sailing programme, and BYC for the summer - members of either could sail in each other's club period, making it possible for all year round sailing, something BCYC still offers today. In January 1950 the two clubs merged under the new title of Bristol Corinthian Yacht Club. 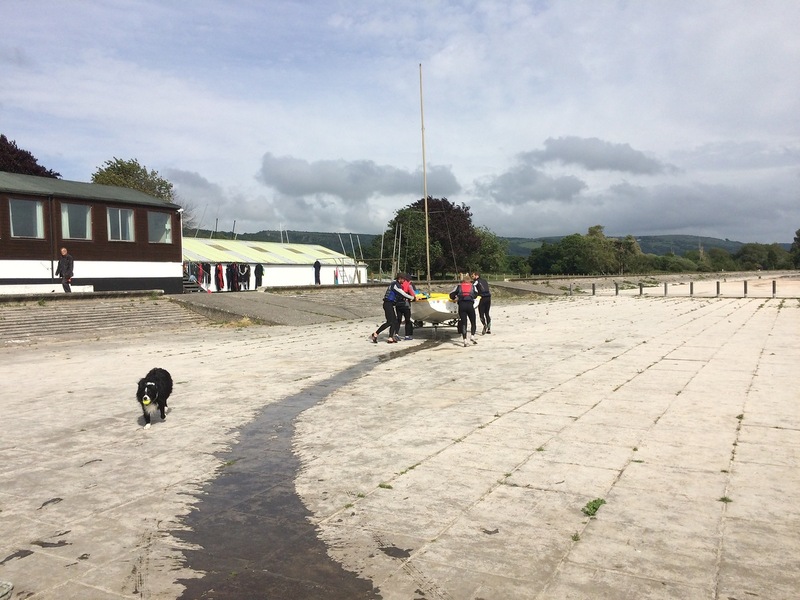 Rudimentary changing facilities were established at the reservoir, and the present club house with under cover boat storage, galley, training room, bar, hot showers and spacious changing rooms was built in 1976 with the aid of a Sports Council grant. Today the club continues to modernise with the introduction of new locational branding as Cheddar Watersports, reflecting the availability of paddlesports alongside dinghy sailing and windsurfing.